Have your students mastered their sight words? Imagine sitting down, preparing yourself to get lost in a foreign world that you will become a citizen of in just a few pages and struggling with many of the words. Not only would this hinder you becoming a citizen of that wonderful new world, but it would be down-right frustrating for you. While reading comprehension can be difficult for some due to a variety of reasons, there are some words many of us just know. These words are often referred to as sight words. A sight word typically refers to a word that pops up on several pages in any type of text (who, the, he, were, does, their, me, be, etc.). Because these words are so commonly used, they are incredibly important for your child to know, but there are many other reasons why sight words are so important to your child’s education. When students start to learn how to read, it can be painful and joyous to listen to them. Joyous because yay they are reading, but painful because it is often choppy and slow. Once your students master sight words, their fluency gets better, and therefore, it’s more fun for you to listen to them read, and it becomes more fun for them to read! Reason 2: What’s that mean? While fluency is so important for proficient readers, there is something more important: comprehension. It’s great to be able to read fast, but if you don’t know what you are reading it’s no bueno. When your students know their sight words, they not only can read a sentence with impressive rhythm, but they can also understand what is being said. Students understand better when they don’t have to struggle through a text. Knowing your 100 sight words puts you 100 words ahead of the curve. Good readers are better at tests. There I said it. I’m not saying they are smarter. I’m saying they are better at taking tests. Can you guess why? If you guessed something like “because they can understand the directions, the questions, etc.” you are definitely right. When you can understand what you are supposed to be doing, or what is being asked of you in a question, you are automatically going to do better than the person who doesn’t (unless they took their Felix Felicis that day). While grades aren’t everything, they are important and having good grades can help students in the future with scholarships and getting into college after your students get into high school. minutes to complete. Which means they essentially have 8 minutes to read a passage and answer 10 questions about that passage 4 times. Sounds hard right? Well that gets a whole lot harder when you don’t know your sight words. Reasons 5: Across the board! One of the coolest things about reading is that it’s everywhere. Whether you are reading The Great Gatsby with your juniors, or teaching your kindergartens the parts of a plant they are reading. Students read library books and novels, science and social studies text books, word problems in math, and more. When students know their sight words, it helps them not only in their Language Arts and reading class, it helps them in every course no matter what the subject is, no matter what the grade is. Reasons 6: Rack Up Those Points! When I was a student, I would fight and claw my way to the top of the A.R. point bracket in my classroom because I like winning. Students today still like it when they get points! Everyone loves points! You want them all, don’t lie to yourself and say you don’t. But, if students struggle with reading, A.R. points become “stupid” or “dumb” or anything else because it’s hard for those students! When sight words are involved and your student can read like a boss, they will be fighting their friends for A.R. points instead of a turn on the swing. The final reasons go beyond the classroom and into everyday life. Everyone is always looking for real-world application, and below is all the real world application you will need to buy into sight words and break out sight word practice with your students tomorrow. Let’s drop a real “truth bomb,” we don’t like doing things we aren’t good at. Plain and simple. I’m not good at repairing toilets, so I don’t love to do it. I’m not good at riding bulls, so I’m not going to jump on one. I am good at reading though, and I love to do it! One of the reasons I love to read is simply because I am good at it. When your students are good readers they can get lost in a world of wizards, or lions, or vampires, and it’s exciting. Loving to read is wonderful, and it keeps the mind sharp. One of the biggest struggles teens face today is self-confidence. When a person doesn’t feel good about what they are doing, they don’t want to do it. But, when we know we can do something well, we strive and see ourselves as smart; we see ourselves as capable. Who doesn’t want that for their students? It’s hard to watch a student struggle (especially with reading), so we need to do what we can to help them when we can. Having confidence and self-esteem can really do a lot for a student. When students feel confident about their skills, they are more likely to help others. Now you are really boosting self-confidence. Your students are stronger readers because they know their sight word, and those students start to share the wealth by helping their peers. With students knowing their sight words, you have positive vibes and strong leadership in your classroom! Every little thing you do in your classroom can make a huge different. Taking time to help students really know their sight words can do so much for them and for you! Who doesn’t want to have happy kids who feel like they can do anything? Sight words are like magic and they will have your students reading like a boss in no time. One way you can count on your students to be actively engaged is to give them a color by code activity sheet! It doesn’t matter what skill you are teaching, as long as they are able to color, they will be in the zone…yes, even your rebels! 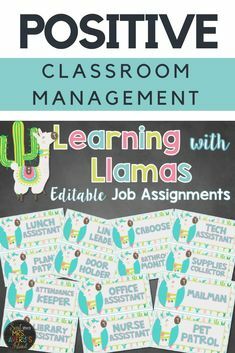 Because of their love for color by code activity sheets, I started creating them for every month, and guess what the skill was… Yep, identifying sight words! Want a FREE Sample to Try? If you are seeking some engaging sight word activities for the entire school year, my no-prep, differentiated, K-5th Color by Code Sight Word Extravaganza bundle is definitely worth checking out. 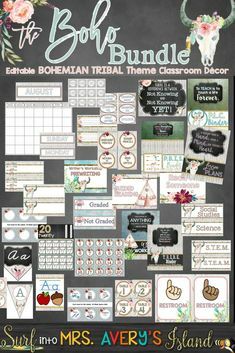 Click here for a FREE sample with an Earth Day theme or here for a summer themed set! These no-prep printables are perfect for your fast finishers, Daily 5 Work on Words activities, morning work, inside recess days, sub tubs, etc. Click here to see what many other teachers are saying about this year long sight word bundle! 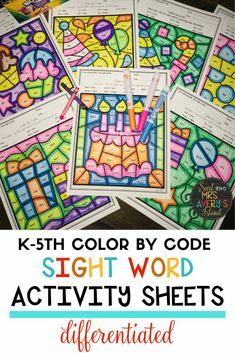 I guarantee your students will LOVE these color by code sight word activity sheets! In fact, they won’t even realize they are actually grasping ELA/reading standards as they master them. I’m pretty sure we can agree when students increase their reading fluency, they also improve their reading comprehension skills! This DIFFERENTIATED set of engaging sight word activity sheets, will have your students reading like a boss in no time!